After our exhausting 2-day Rome excursion, we enjoyed a much needed “day of rest” at my dad’s. 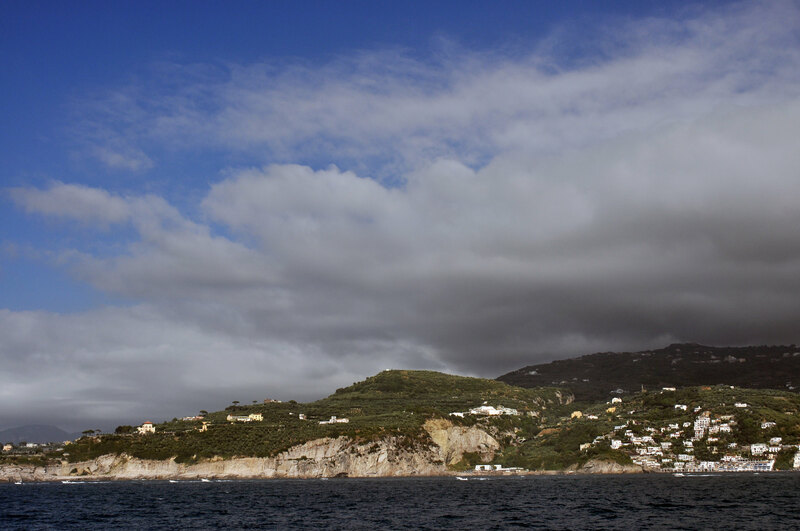 On Sunday, our second to last day in Italy, my aunt, cousin, and I spent several hours enjoying a mini cruise to Positano. 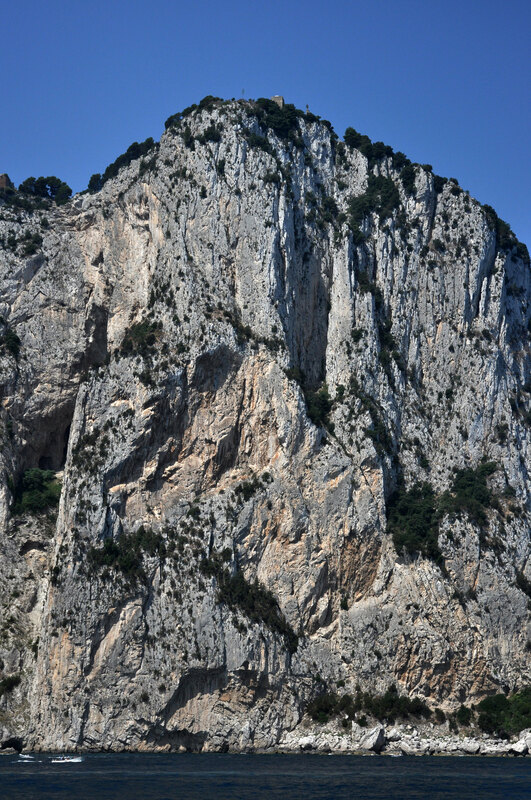 We met our tour bus at the Naval base and then boarded our boat at the port of Castellamare. From there, we enjoyed a couple of hours lazing in the late morning sun. 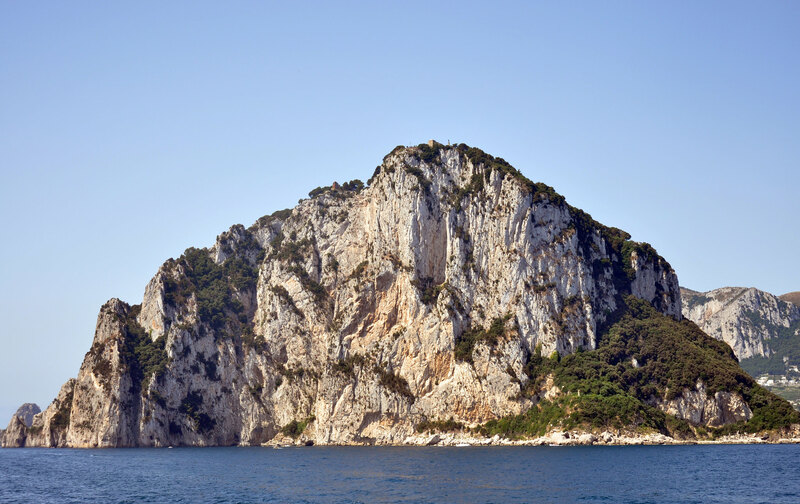 The first stop on the boat cruise is for a dip in the sea off shore from the island of Capri. The water is crystal clear and super salty. 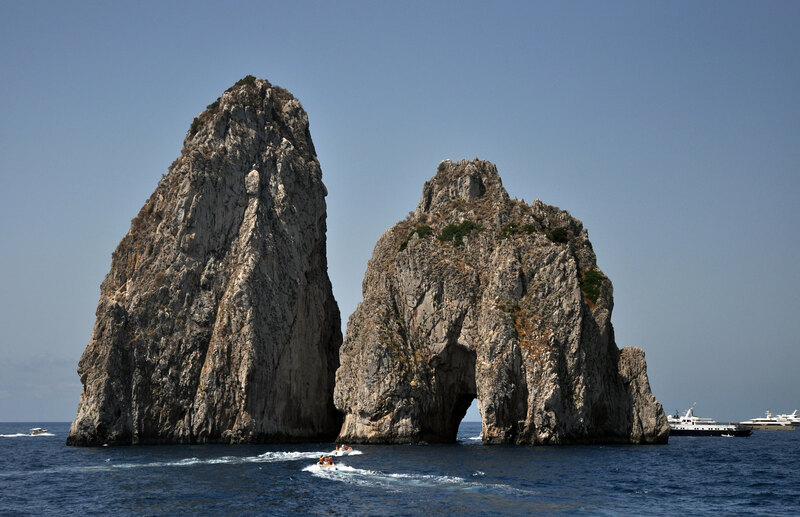 After the swim stop, the cruise passes by the Faraglioni rocks (I talked about them in this post). 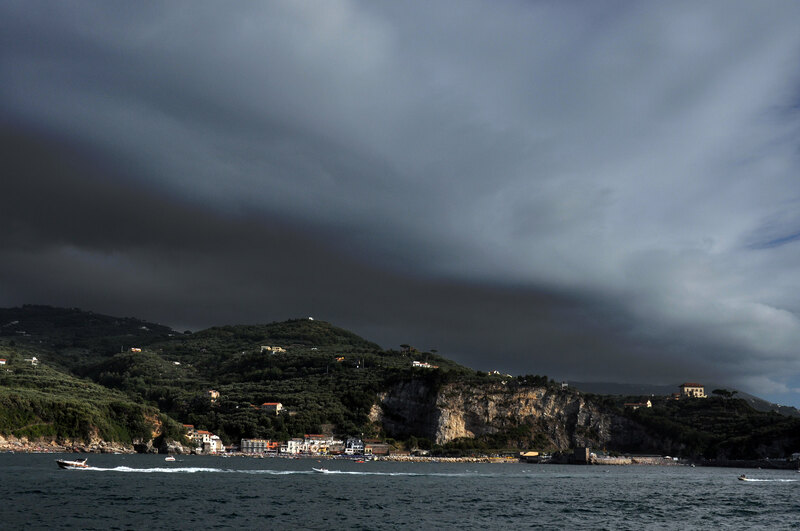 The boat then heads back towards mainland Italy. 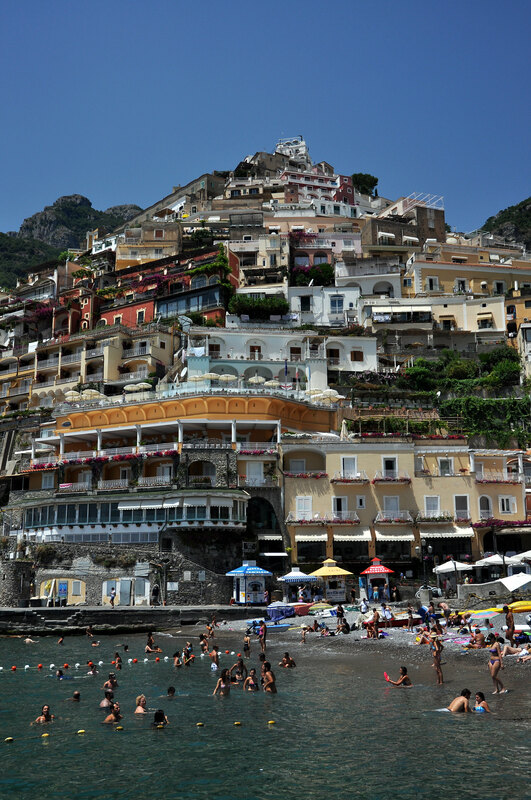 At around 1:00 PM, it arrives at Positano. 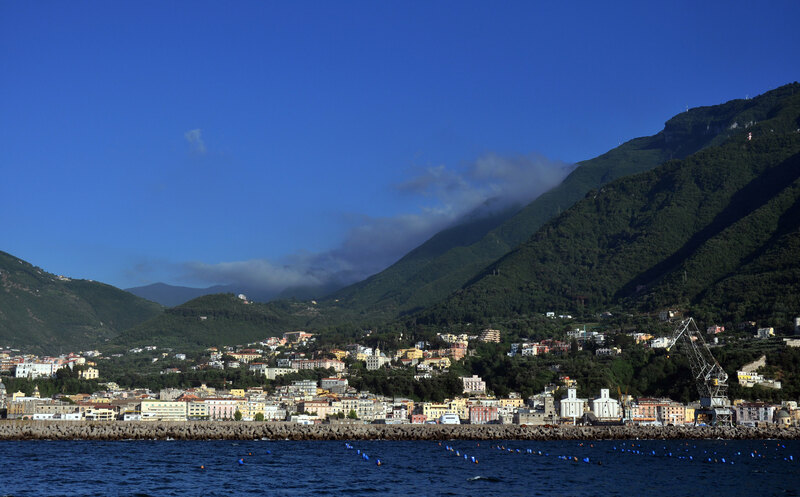 You can either get off here, or continue further down the coast to the town of Amalfi. They are both beautiful cities. 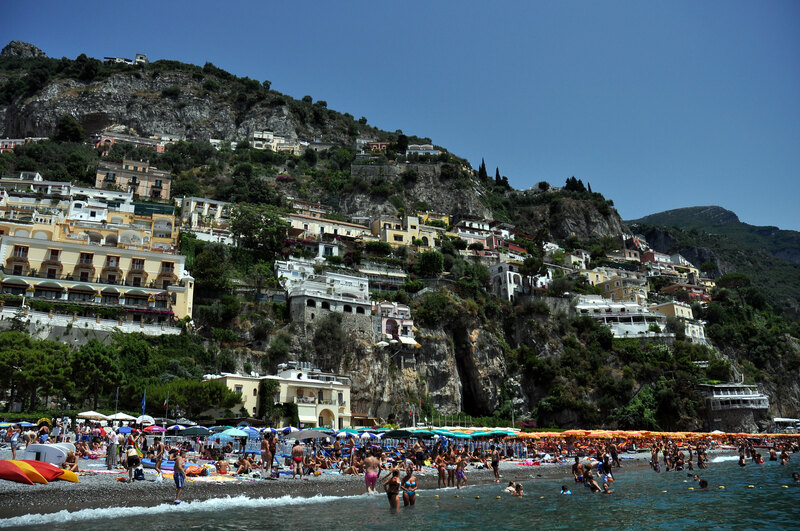 We opted to get off at Positano so that we’d have more time to spend at the beach. On the way back, a storm was rolling in. The conditions on the water were extra windy, but it made for some great photos. 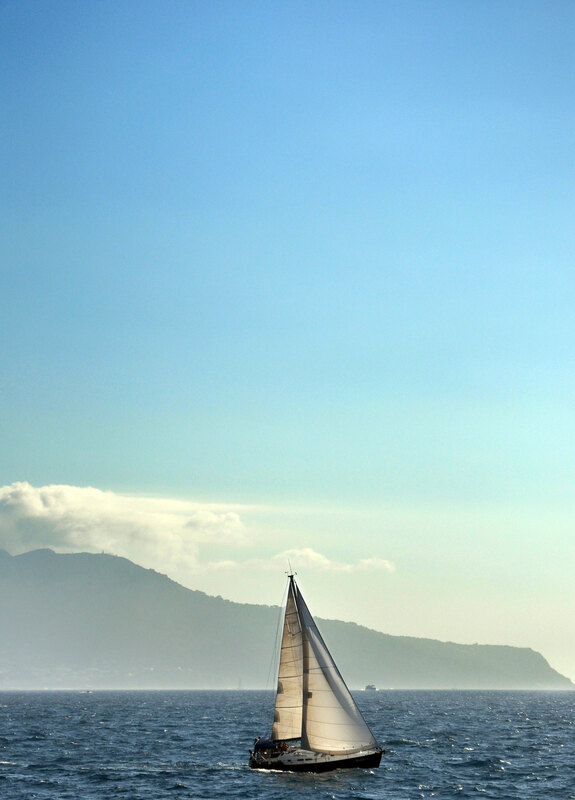 After a long day on the water, we arrived back at our port of origin.